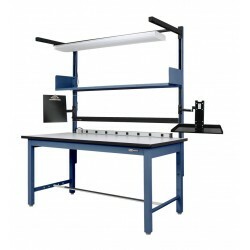 Sign up for notification of special discounts and other savings opportunities. EquipMax is a proud distributor of IAC Industries Workmaster Stock Bench. 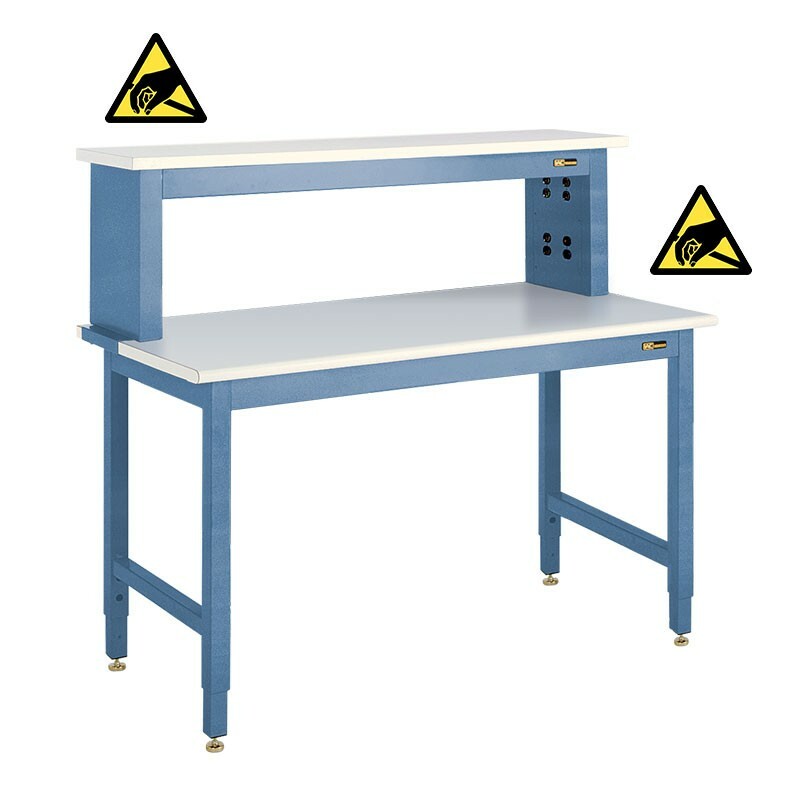 This four (4) leg workbench offers a broad selection of easy-to-assemble workbenches for assembly, laboratories and technical environments. These benches are manufactured with strict quality standards and 100% made in the United States of America; not assembled in the USA but rather actually manufactured. 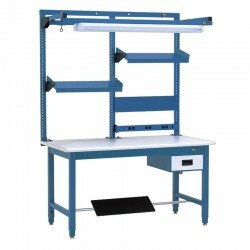 You have a variety of options with this product line. You can choose optional drawer sizes, cabinets, mechanical and electoral components – all of which support easy customization. 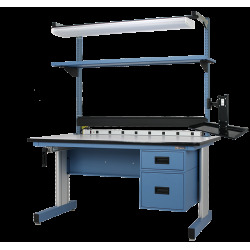 Have a great time reviewing this product line and we look forward to providing you solutions for your application. 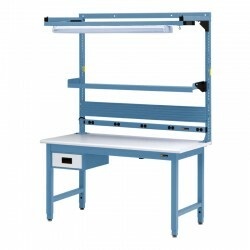 IAC Heavy Duty Steel Workbench w/ 6” Drawer 30-36" x 48-96"
IAC Rolling Steel Workbench w/ 6" & 12” Drawers 30-36" x 48-96"
IAC Steel Workbench w/ Overhead Light & Utility Shelf 30-36" x 48-72"
IAC Workbench w/ 6” Drawer, Electrical, Shelf & Light 30-36" x 48-72"
IAC Workbench w/ 6” Drawer, Footrest, Bin Rail, Tool Trolley, Electrical Channel & Light 30-36" x 48-72"
IAC Workbench w/ 6” & 12” Drawers, Footrest, Shelves, Multi Bin Rail, Electrical Channel & Overhead Light 30-36" x 48-72"
IAC Workbench w/ 6” Drawer, Footrest, 3-Post Shelf System, Tool Trolley, Electrical Channel & Overhead Light 30-36" x 48-72"
IAC Heavy Duty Steel Workbench B5 - 30-36" x 48-96"
IAC Heavy Duty Steel Workbench w/Instrument Shelf B6 30-36" x 48-96"
With so many standard workbench and table options on the market we felt it best to introduce our own brand, the EquipMax line of benches and tables, to provide you with a brand we have full control over and is manufactured in the USA. We let you, our customer, tell us what to offer. 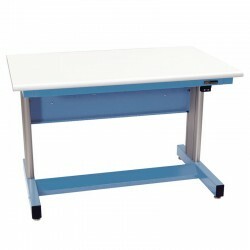 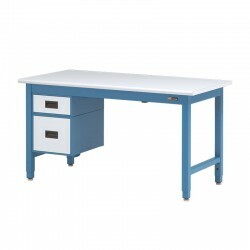 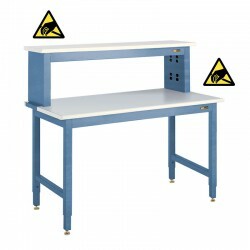 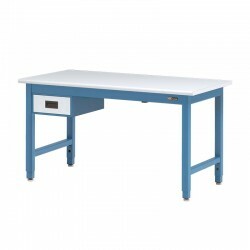 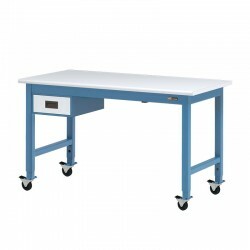 These four (4) leg workbenches are manufactured with strict quality standards while maintaining a budget friendly price. 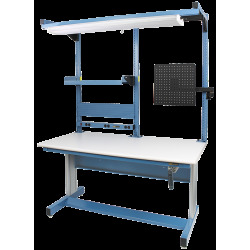 We understand that our premium benches and workstations can sometimes be more than you need or just outside of your budgets price range. 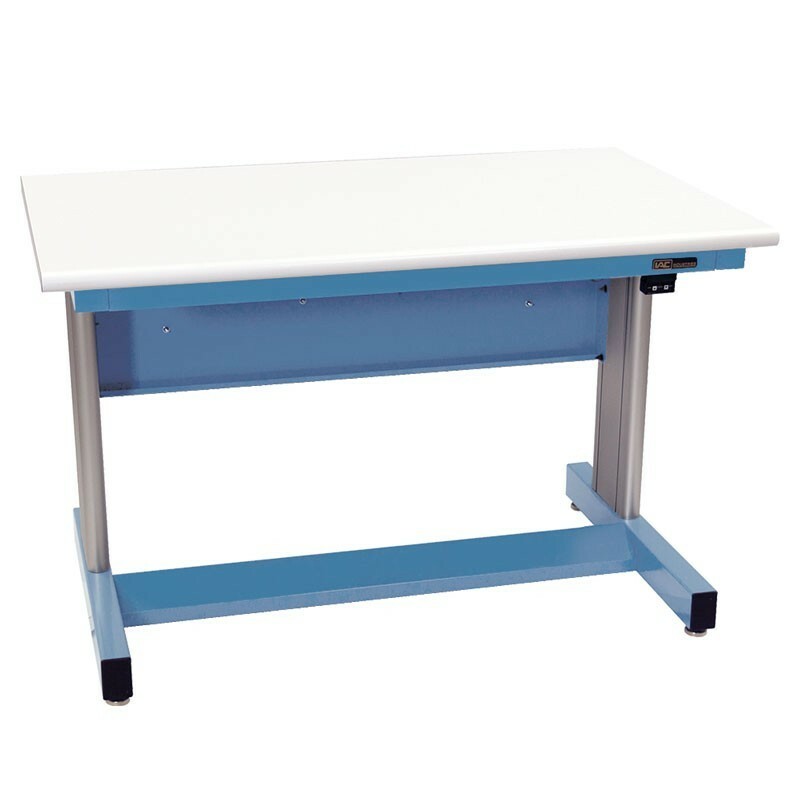 With these factors in mind we bring you our proprietary bench line. 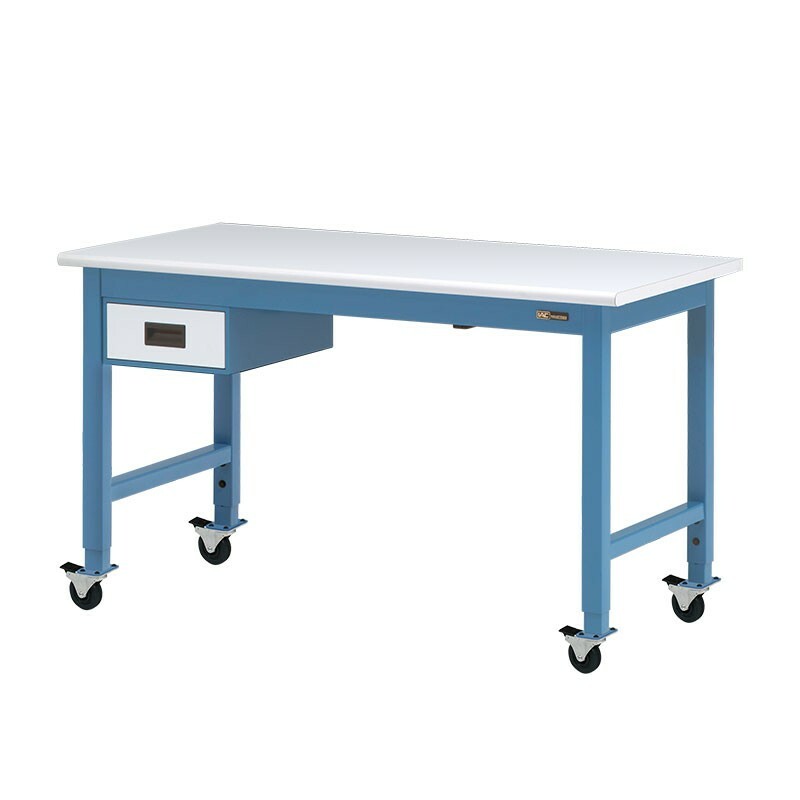 EquipMax private label products offer an array of selections of easy-to-assemble workbenches and tables – truly fitting for any environment, just a matter of your application and purpose. 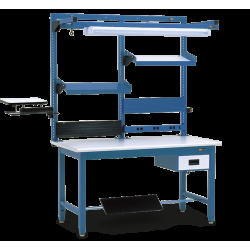 These benches ship in 5 to 10 business days, have a weight load capacity of 1000 lbs when evenly distributed and come in both standard and/or ESD laminated tops. 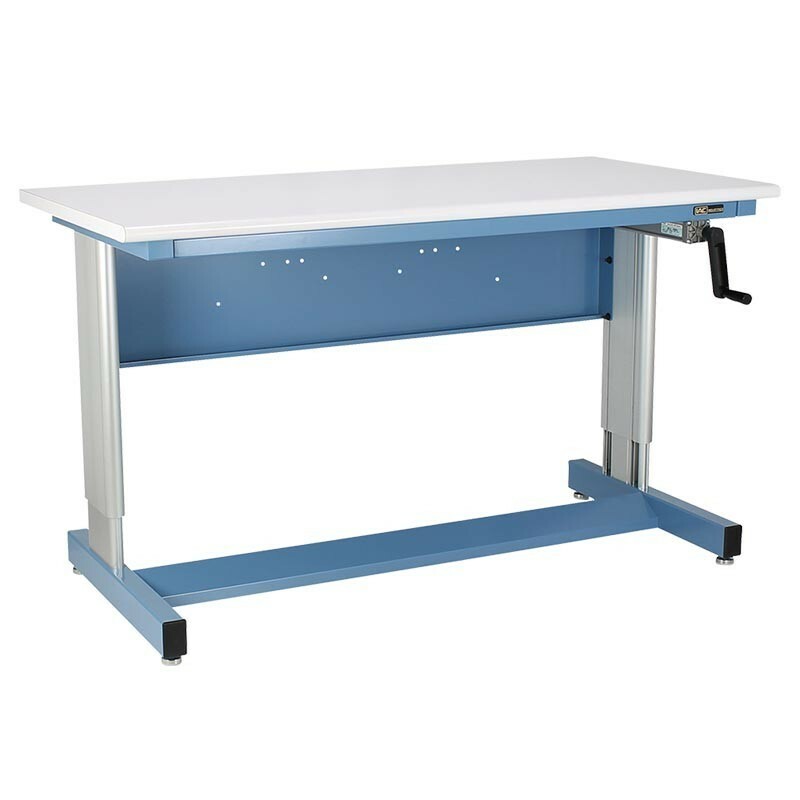 Steel Industrial ESD Workbench/Work Table 30-36" by 60-72"
IAC Industries Hand Crank 930 and Motorized/Electric 940 adjustable height benches are ergonomically designed for sit and stand applications. 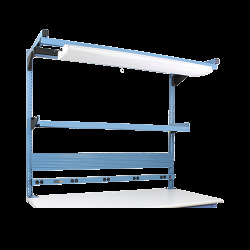 This series deliver efficiency, comfort and convenience with a range of 12 inches in height adjustment, providing a minimum height of 30 inches and a maximum height of 42 inches. These stations are engineered for quality and performance, without jeopardizing aesthetic; adding style to your working environment. 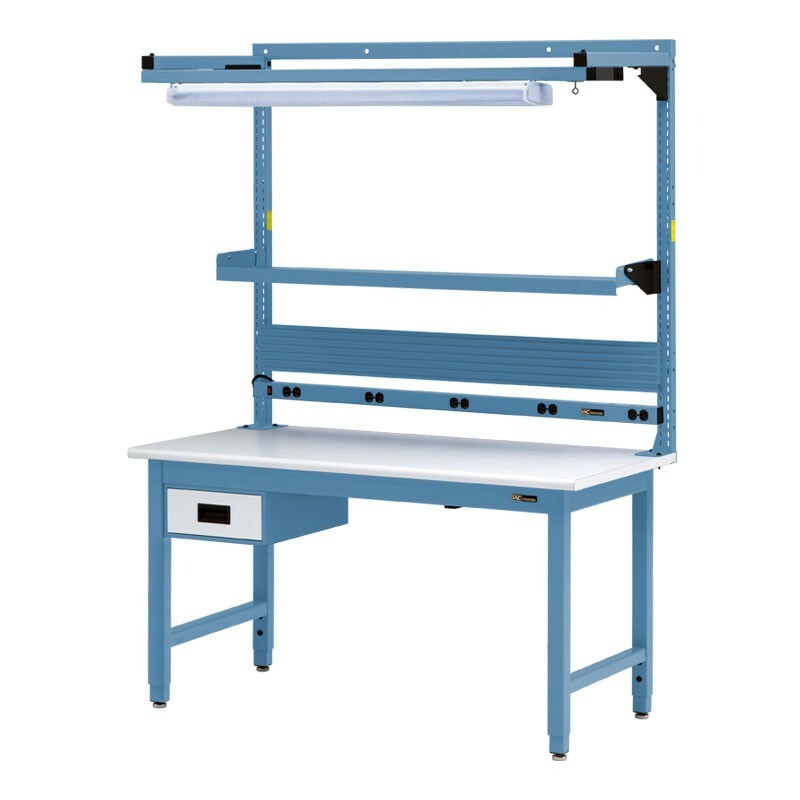 A cantilever support system, housing the hydraulic lifters, provide maximum leg room; while the bolted steel channel frame delivers a full 500-1000 pound load capacity when evenly distributed. 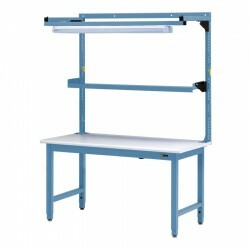 This adjustable height bench provides 500 lbs. 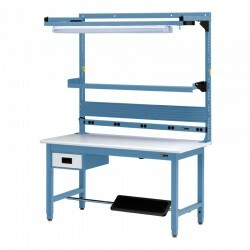 load during adjustment, with 1000 lbs. load capacity fully lowered and 750 lbs. 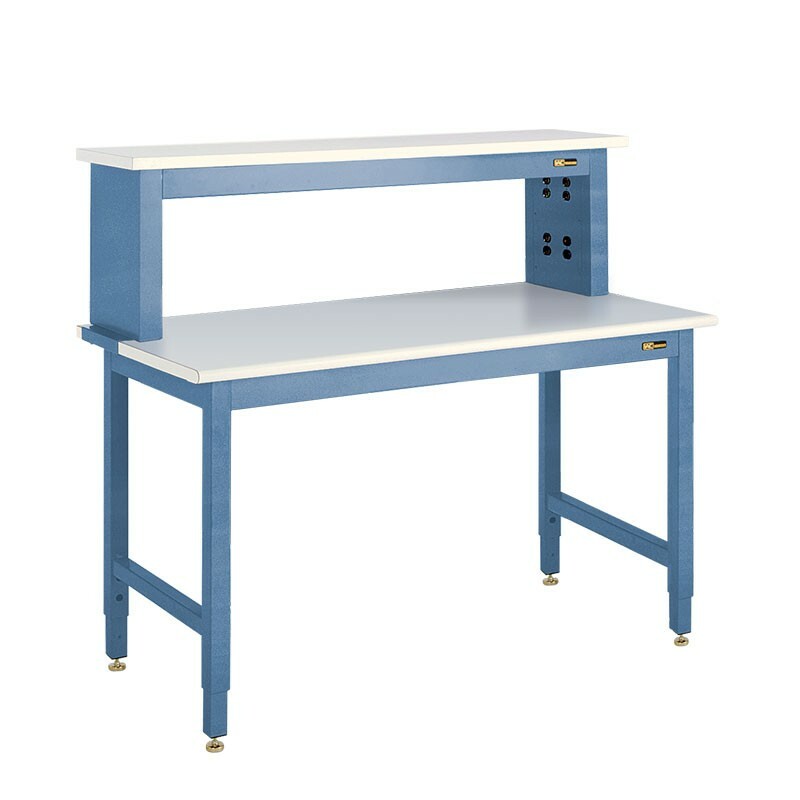 at its fully extended height. 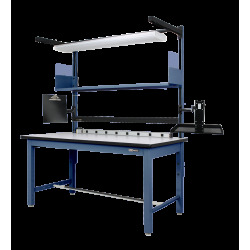 With ESD options and a 1-1/4 inch thick worksurface with a 180° rolled front edge this series is ideal for almost any environment. 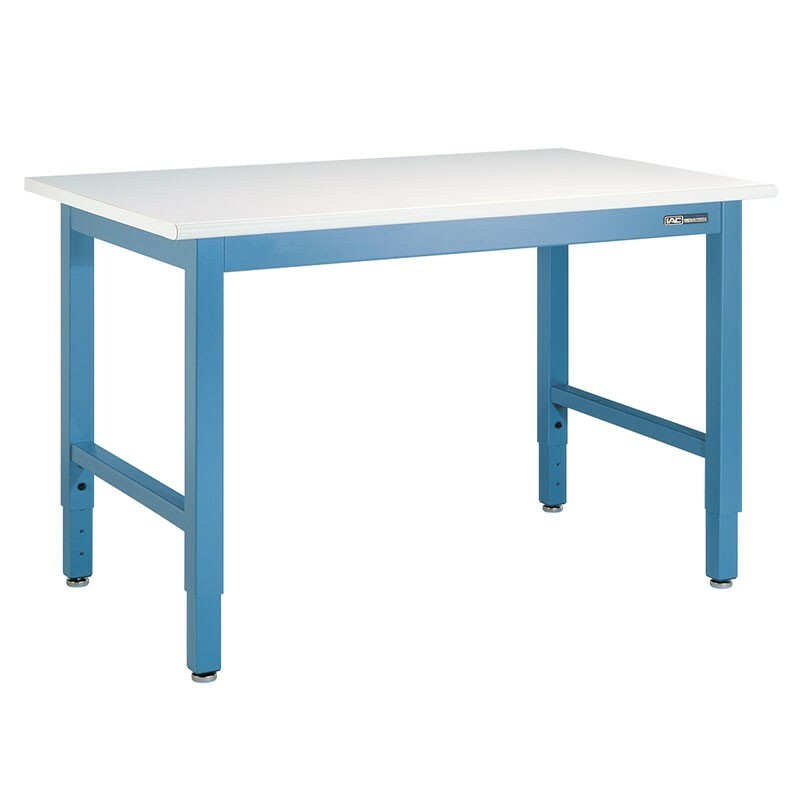 These benches support lean manufacturing, six sigma and 5S philosophies. 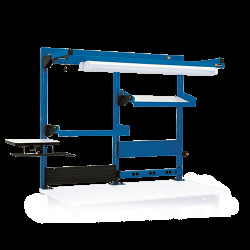 We look forward to providing you solutions to MAXimize your production needs. 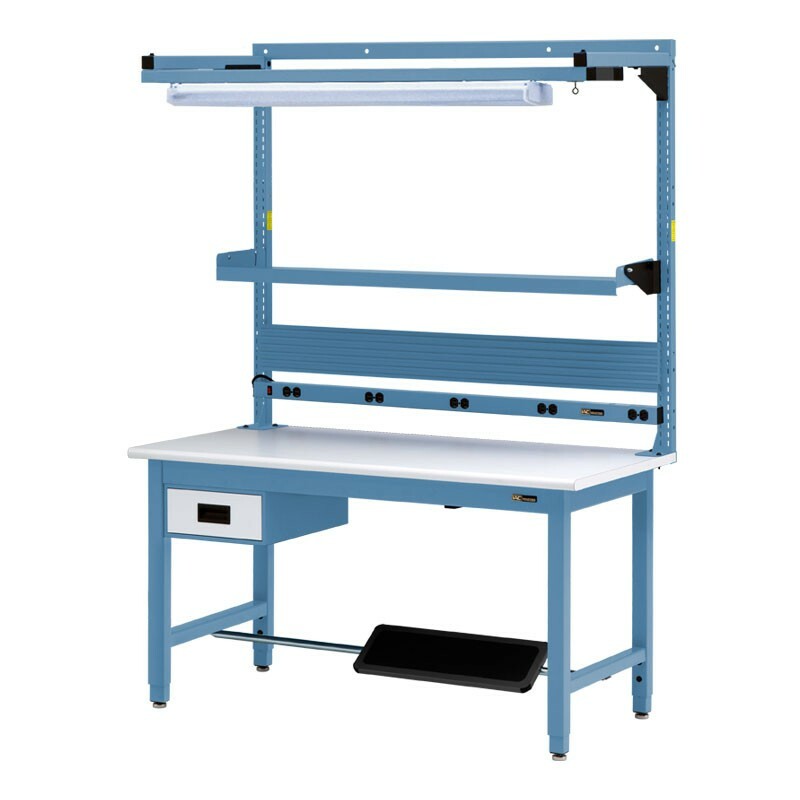 The ergonomically designed EquipMax Adjustable Height Benches deliver the efficiency and convenience of height adjustability at a remarkable price. 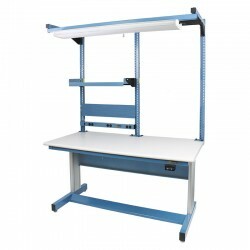 We've engineered these workbenches for quality performance. A cantilever support system, housing the hydraulic lifters, provides maximum leg room, while the bolted steel channel frame delivers a full 500-lb. 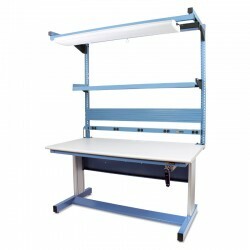 evenly-distributed load capacity. 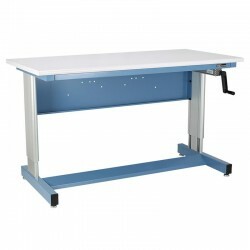 You can easily move up or down to the efficient functionality of a height adjustable worksurface. Even we don't know when we are going to discount a product. 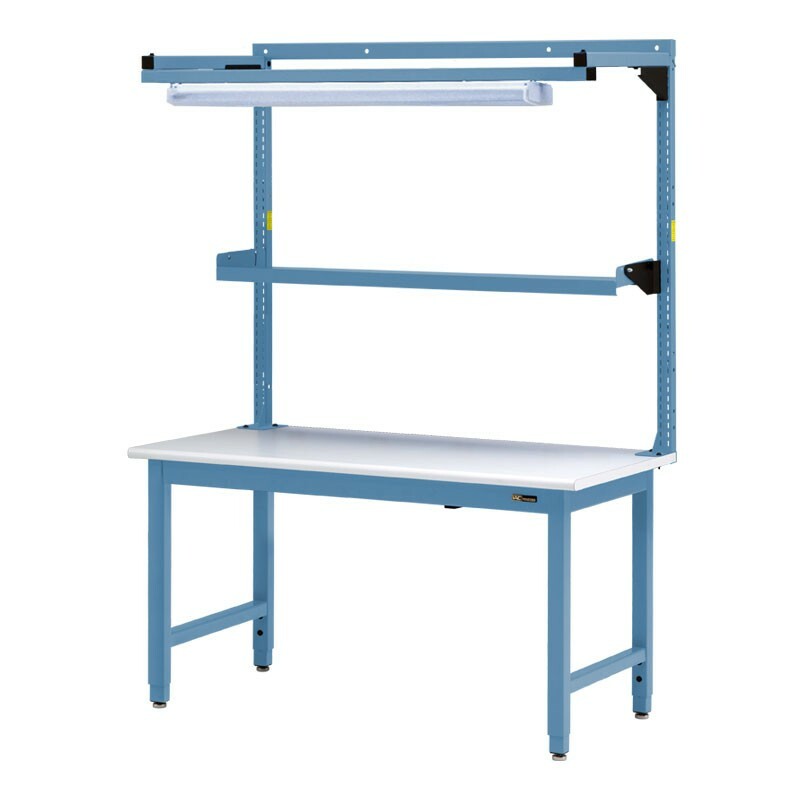 But you can be the first to know. 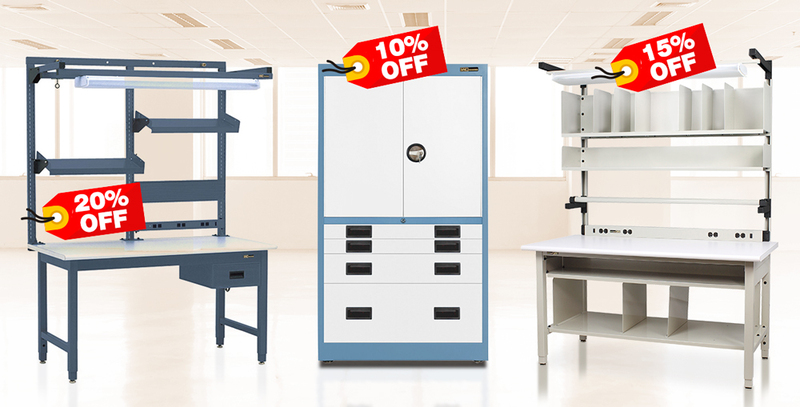 Subscribe to our newsletter and discover the best offers and news.